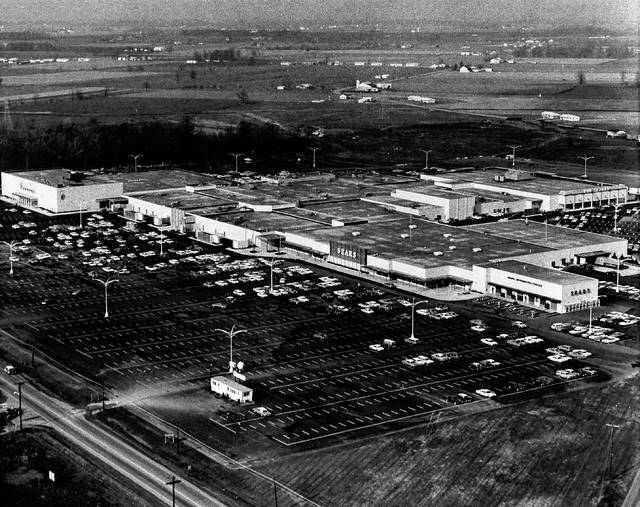 This aerial photo shows the Lima Mall in 1967. The mall at that point included the anchor store The Leader, and Lazarus had not been built west of JCPenney yet. 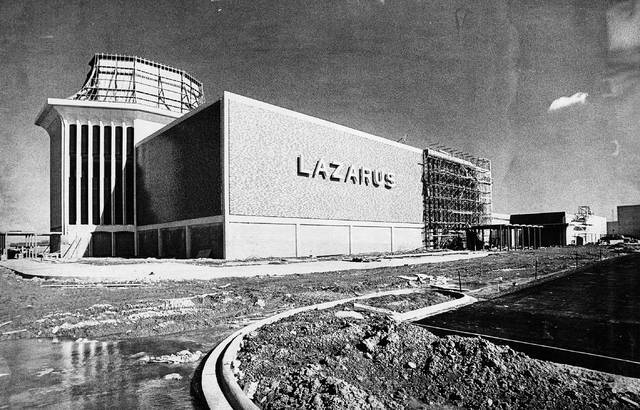 Lazarus, in progress in early 1971. 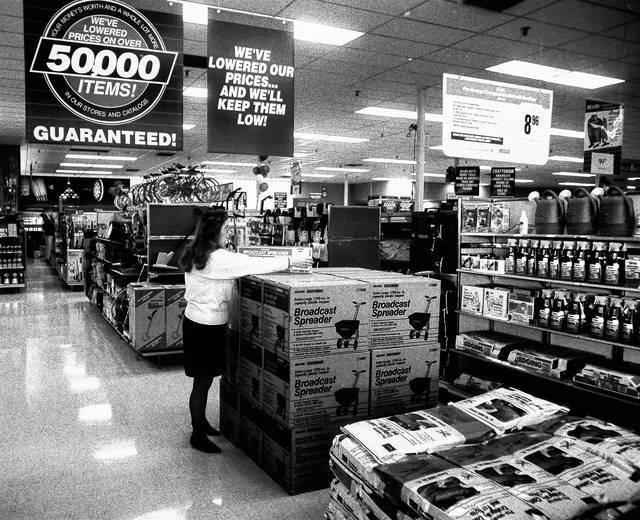 An unidentified worker stocks items for sale at Sears in 1989. Close study of the photo shows a sign for a wet/dry vacuum, sold at $99, and bicycles on display. 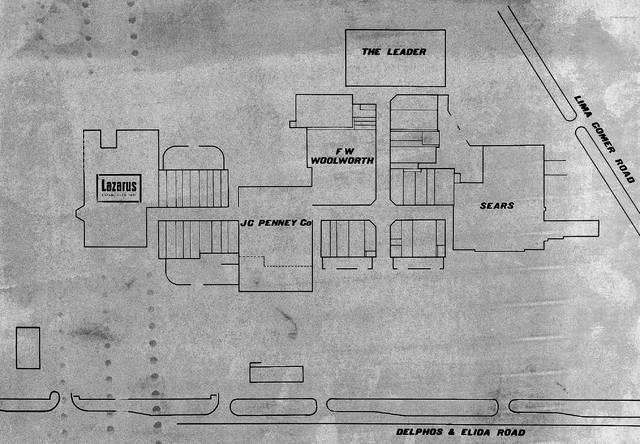 This map, dated Jan. 21, 1969, shows the stores featured at the mall. Note the cross streets were Lima Gomer Road and Delphos & Elida Road. The rectangle just north of Woolworth’s was Pangles. 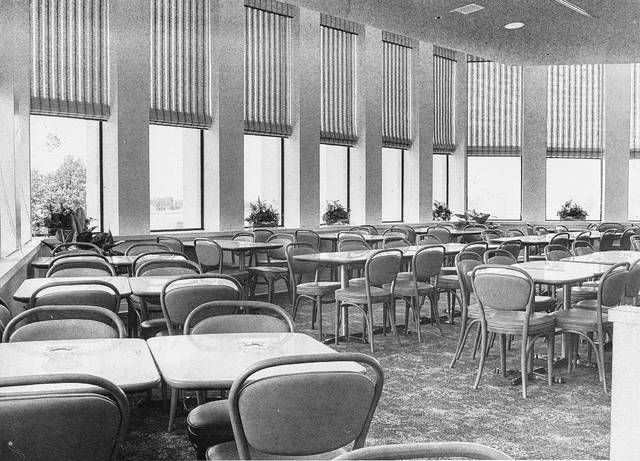 The restaurant at the former Lazarus store, photographed here in 1971, was the perfect place for lunch out while shopping. Note the ash trays on the tables. Woolworth’s lunch counter was also popular in its day. This photo, dated 1992, shows the fountain near MCL cafeteria. A larger fountain, circled by seating, was at center court. 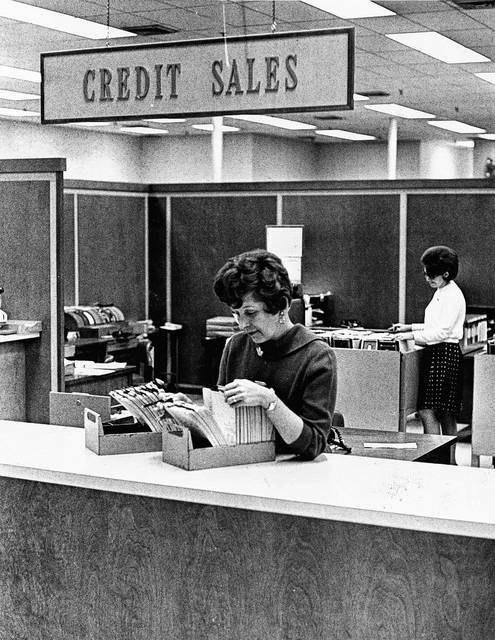 LIMA — You may be headed to the Lima Mall to do some Christmas shopping this time of year, and we raided The Lima News archives to show our readers a glimpse of what shopping there used to be like. 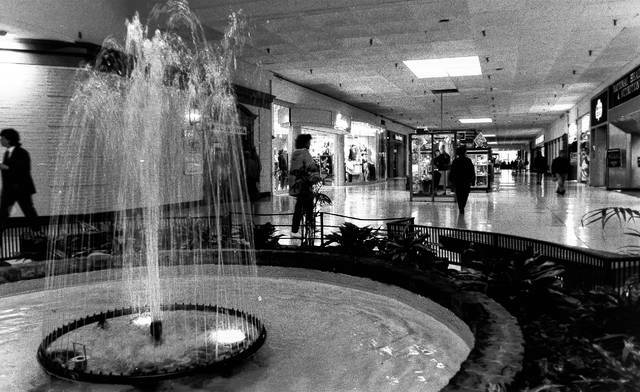 Readers, we’d love to hear your favorite memories of the mall. Please email amcgeesterrett@aimmediamidwest.com.